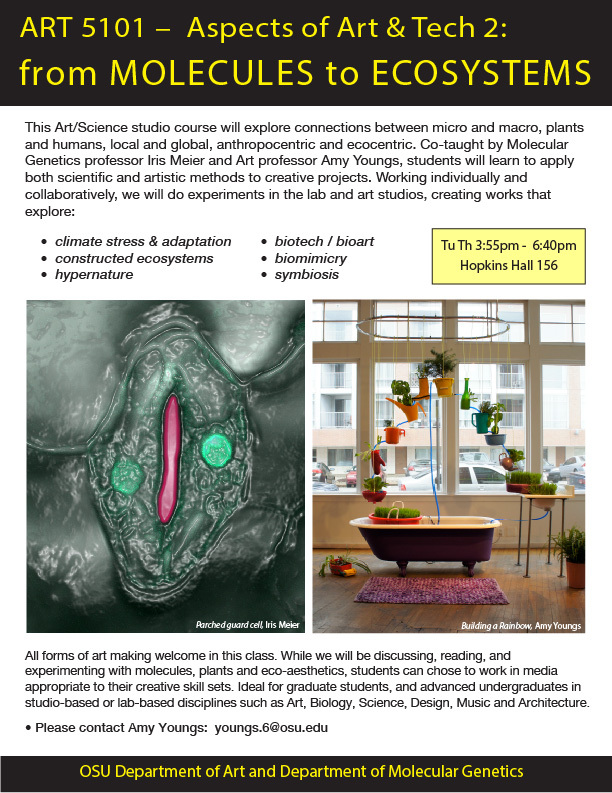 This Art/Science studio course will explore connections between micro and macro, plants and humans, local and global, anthropocentric and ecocentric. 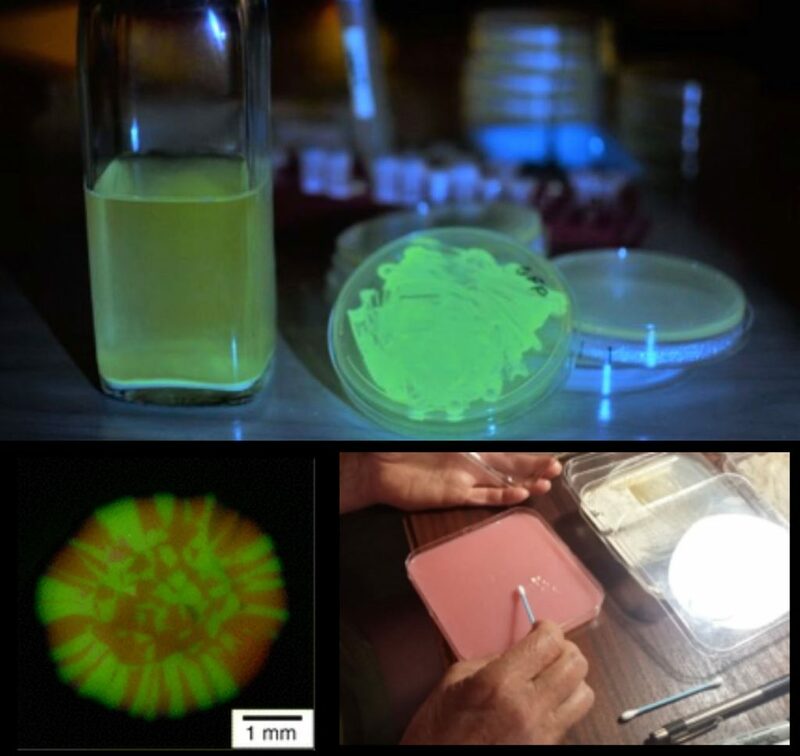 Co-taught by Molecular Genetics professor Iris Meier and Art professor Amy Youngs, students will learn to apply both scientific and artistic methods to creative projects. Working individually and collaboratively, we will do experiments in the lab and art studios, creating works that explore • climate stress & adaptation • biotech / bioart • constructed ecosystems • biomimicry • hypernature • symbiosis. All forms of art making welcome in this class. While we will be discussing, reading, and experimenting with molecules, plants and eco-aesthetics, students can chose to work in media appropriate to their creative skill sets. 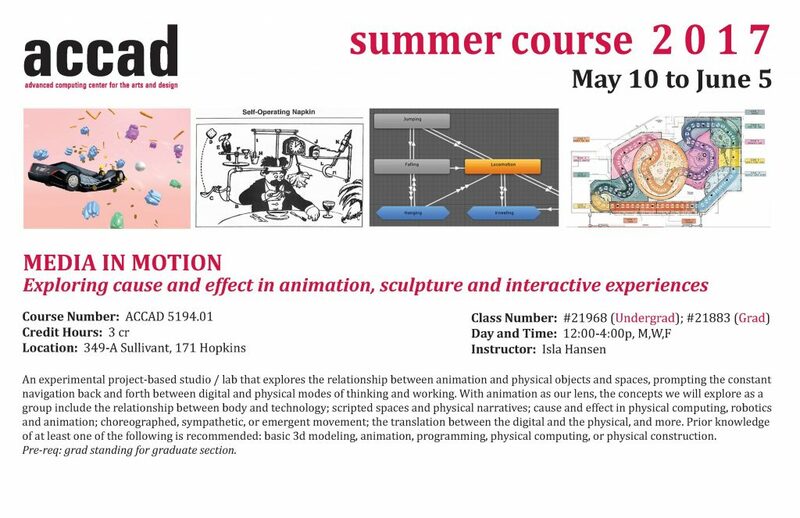 Ideal for graduate students, and advanced undergraduates in studio-based or lab-based disciplines such as Art, Biology, Science, Design, Music and Architecture. We are excited to be hosting visiting artist Marta de Menezes from Portugal. 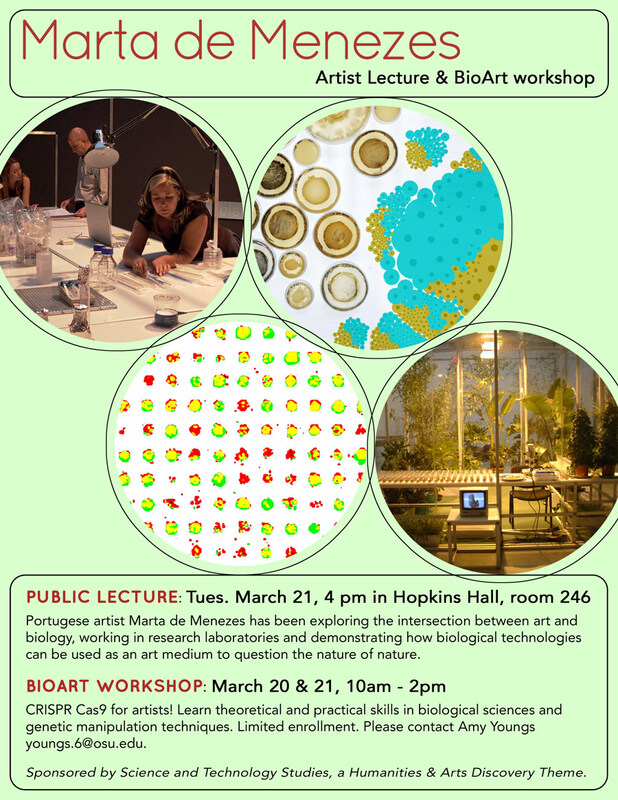 She will give a hands-on, DIY BioArt workshop involving CRISPR (gene editing techniques) on March 20 & 21. 10am – 2pm. Additionally, she will present a public lecture on her artwork on March 21 at 4pm in Hopkins Hall room 246.
learn about current artistic practices that engage the life sciences, and will become familiar with artists that combine the two disciplines. engage in and critically examine all elements of the creative process in art and science, including ideation, experimentation, and communication. develop new methodologies, lines of inquiry or strategies to inform, build upon or challenge the participants’ creative research and practice in art and/or science. collaborative works that combine elements of art and science, and successfully link concept, intent, and form. Limited enrollment. Please contact Amy Youngs youngs.6@osu.edu to indicate your interest in attending. 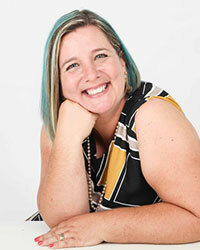 These events are part of the Humanities & Arts Discovery Theme focused on Science and Technology Studies.